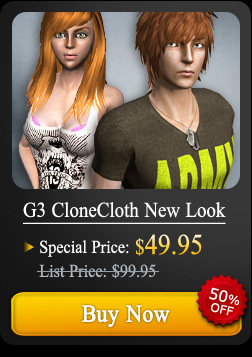 New Look iClone G5 CloneCloth! New Arrivals! 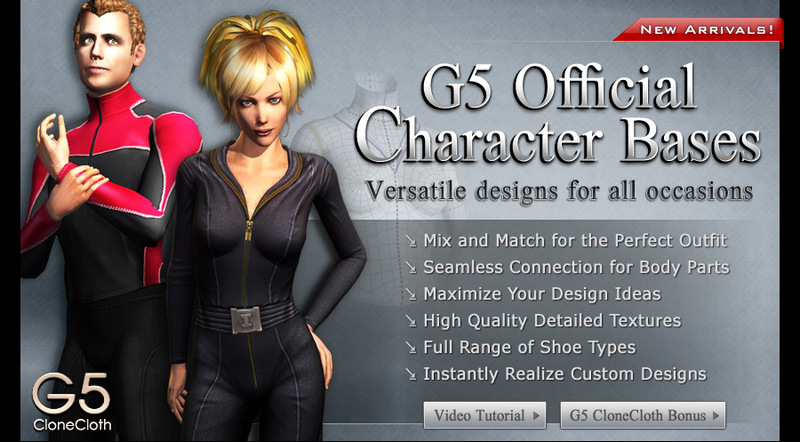 These outfits are inspired by the latest fashion styles and based on the G5 female character - Gwynn. 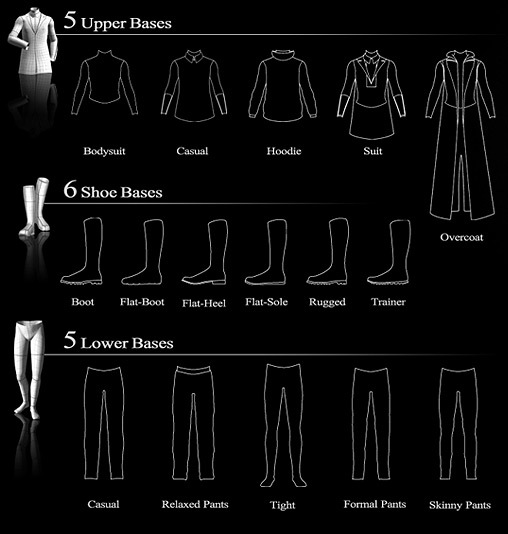 The pack includes 5 upper, 6 lower and 6 shoe bases; each base comes with two sets of textures and an individual Template Map with guided color contour lines which allows you to easily create your own custom outfits. 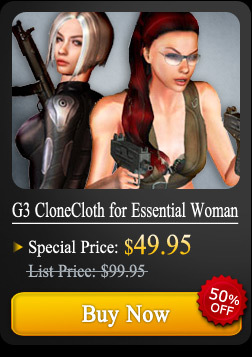 G5 CloneCloth offers multiple layers of Cloth Meshes that allow you to use the Opacity texture to create different layers of clothing. Bring your characters right up-to-date with the very latest fashion! 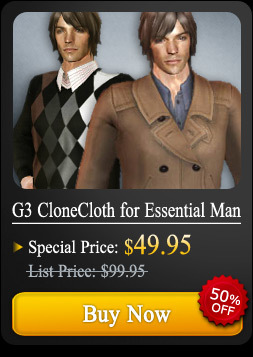 These outfits are inspired by the latest fashion styles and based on the G5 male character - Chuck. 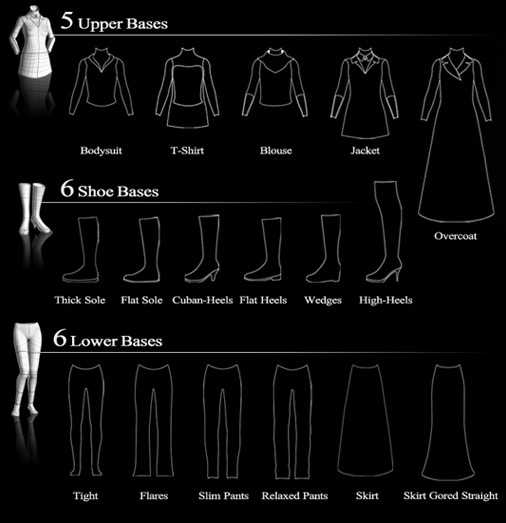 The pack includes 5 upper bases, 5 lower and 6 shoe bases; each base comes with two sets of textures and an individual Template Map with guided color contour lines which allows you to easily create your own custom outfits. G5 CloneCloth offers multiple layers of Cloth Meshes that allow you to use the Opacity texture to create different layers of clothing. Bring your characters right up-to-date with the very latest fashion!